Jennet: [voiceover, echoing in Eel Marsh House] I will never forgive you for letting my boy die. I will never forgive. Never forgive. Never forgive. Never forgive. Never forgive. Never forgive. Q: Is this a remake of the 1989 TV film? Q: How does the film end? Q: Why do people in the village oppose Arthur staying in the village? Creepy and off-putting, The Woman in Black really is a terrific thriller. It's intended to shock, and in many scenes it is successful. 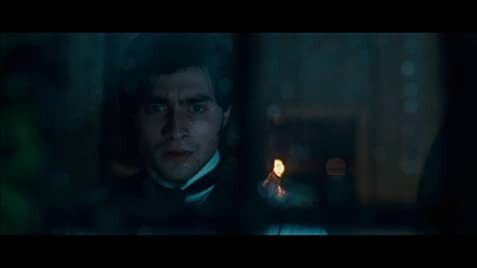 It's a moody, psychologically scarring throwback to the old Roger Corman movies based on Edgar Allan Poe stories, with an amazing adult performance by Daniel Radcliffe as a young lawyer out of his depth. 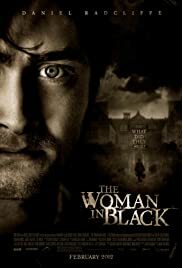 Arthur Kipps (Radcliffe), a down-on-his-luck attorney, is asked to travel to a remote village and find out if a recently deceased woman has left any heretofore unknown wills. It's Kipps' last shot at success, his employer sternly warns him. His journey to the village is eerily similar to that undertaken by Jonathan Harker in Bram Stoker's Dracula. Something's not quite right with the town, which clearly doesn't want him around, something to do with children being murdered and people blaming a dead woman. You know how it is. Kipps' sleuthing leads to more and more questions. Who was the woman (ostensibly, his client), really? What relationship did she have with the town? And what of those treacherous marshes, and that long and winding road to the main house that is impassable when the tide is in? Why is it that every time Kipps turns around, a shadow darts away? Understanding that these are all staples of the great horror movies of yore doesn't mean that this film is stealing; it is merely authentically replicating the desolate atmosphere, in which a whisper can signal death. I entered the theater knowing very little of the movie's content. Was it to be a mystery, and we'd find out who the titular woman was at some point? It is, and we do, but that is only part of the puzzle. The best horror movies, in my opinion, are the ones that build just the right amount of suspense and then pull the rug out from under the viewer. A slow buildup must have a satisfying payoff. Showing the evil the lurks in every other scene dilutes the fright quotient. This movie doesn't do that. It pulls no punches to our psyche. It is so closely shot by Tim Maurice-Jones, who's best known for his work with Guy Ritchie. Maurice-Jones' style here is to capture almost every shot from Kipps' perspective, thus bringing the audience that much closer to the terror he's supposed to be feeling. Radcliffe, to his credit, never comes off as some innocent lad who's just starting out in the business, and although Kipps is perplexed - much like Edward Woodward's character in The Wicker Man - he is determined to see things through, even though he has strayed a bit from his original mission. Something is definitely wrong here, and it involves the children. Are they to blame for the nefarious goings-on? Are their parents? No one is saying anything. To make matters worse for Kipps, he has a young son of his own, whose mother died in childbirth and who is coming to visit Kipps in a few days. The grief felt by the parents of the fallen children only heightens Kipps' own fears. There are several moments that, on the Internet, would be called shock videos. Everything seems normal, and then BAM, something pops out of nowhere. In lesser movies, this might be seen as a crutch, a way to stun your senses to get a particular reaction, but here it all fits in, and it conveys mortal terror. The Woman in Black's identity is revealed very early in the film, so the mystery isn't who she is but why these events keep occurring. Is it all superstition, or is there something more to the spiritual aspect of the plot? The ending is tidy and satisfying, but it is by no means conventional or predictable. In fact, it opens up even more questions. But more importantly, director James Watkins and screenwriter Jane Goldman (based on a book by Susan Hill) do not take the easy way out. People do not necessarily live happily ever after. Story threads are not necessarily sewn up tight. It is a riveting film steeped in a macabre atmosphere teeming with the potential of death with every slow approach to a corner or a locked door. 88 of 135 people found this review helpful. Was this review helpful to you?